One of my absolute favorite shots comes before the sun even rises when capturing Gulf Shores portraits. Its a shot we often miss because not all families are true early birds. Thank goodness these fellows were though. It is truly a blessing for showing up early to a sunrise session. We call this shot, "Fire on the water". I learned this shot from one of the few masters of photography over twenty years ago. It is a simple technique, but one that took years of practice to master. It is not exactly easy balancing the studio strobe with the ambient light and letting the pier lights dance on the water. But when done correctly, it screams AMAZING. That's why I guess I like it so much because it really is a shot not many can even think about getting. You know us, we love doing unique work and this is really a great example of that. Thanks, fellows for waking up early and spending a little time with us on the beach. We are positive you put a big ole smile on your mom's face. We hope you have a wonderful vacation and get to spend the whole trip playing in the waves on your boogie boards. If your family is visiting the beach this summer or fall, and are looking for something unique and truly professional, give us a call, we would love to discuss the possibility of your very own Gulf Shores portraits session. Whether it is an awesome sunrise or a super sunset, we are positive we can find a slot just for you. We love working with families just like yours and can't wait to help tell your story. If you don't have plans for a last minute beach weekend, perhaps you should start planning now. You are welcome to call us and we can even help find you a perfect little beach bungalow. 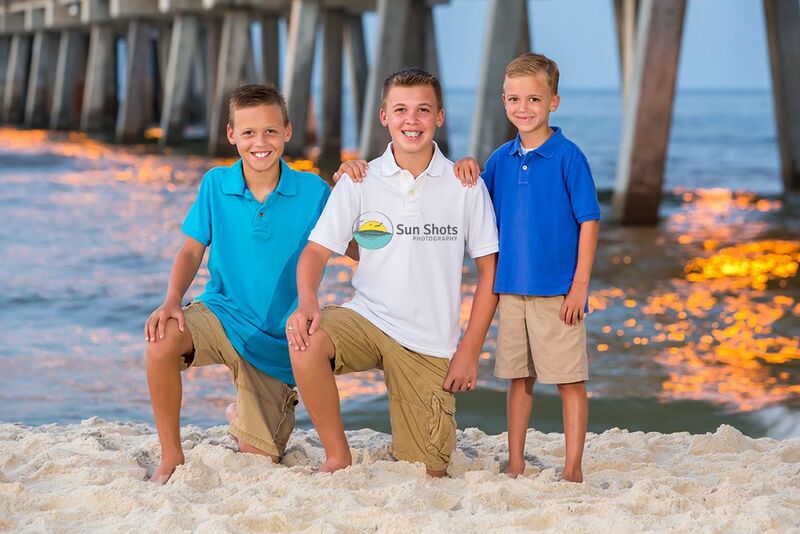 We know all the cool spots and we would love to capture your Gulf Shores portraits!